In today’s customer experience driven environment, airlines that upgrade their digital customer experience position themselves to succeed. Airlines in the U.S. who do not uplevel their CX are leaving $1.4 billion in annual revenue on the table. Choosing the right social media management (SMM) technology is critical to facilitating the kind of customer experiences that will keep your airline competitive and meeting customer expectations. Not sure which technology is best for your airline? 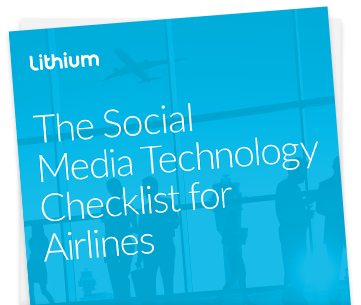 Download The Social Media Technology Checklist for Airlines for a handy guide to help you discern core features and capabilities that a social media management platform should provide for maximum CX value.